Lifelong Christian formation in The Episcopal Church is growth in the knowledge, service and love of God as followers of Christ and is informed by Scripture, Tradition and Reason. Lifelong Christian formation enables us to continue to grow spiritually throughout our lives. It offers us a chance to focus on our relationship with God. We may want to know more about how our faith can grow during any number of life events such as raising children, taking care of elderly parents, death, serious illness, loss of a job, addictions, and any number of other life changes. We may want to become more knowledgeable about the Bible as a book. We may want to explore different ways to pray so as to enrich our prayer life. We may want to know about the sacraments and traditions of The Episcopal Church. We may want to explore what the Bible and Christian tradition have to say about current issues like the environment, living wills, personal finance, global poverty, healthcare, and other faiths. Whatever our current need or interest we can find resources and others to be companions on our journeys. 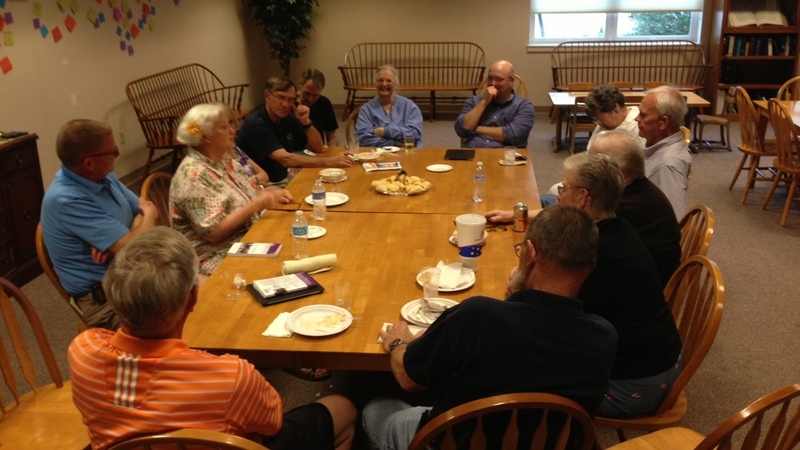 Sunday Forum usually meets between Sunday services at 9:15 a.m. This forty-five minute session offers a variety of topics for study and discussion. Opportunities for in depth study are available occasionally, such as during Lent, or at other times on request. See also information for the Big Questions Classes, the St. John's 20s/30s Group, and the Tuesday Evening Bible Study. Quiet Days are opportunities to renew and refresh your soul by spending a day (or portion thereof) in prayer and meditation with music, art, and offerings of short teaching moments. Think of it as a mini spiritual retreat. Amy Paget is the convener for these days. Dates for Quiet Days are posted in the Eagle Newsletter and in our Sunday announcements.